TRACTIONARTS is a video venue in the heart of the Los Angeles Arts District. Actually, it’s a window facing Traction Ave at the corner of Avery. TRACTIONARTS was started by Ken Marchionno after attending a talk by Carlton Davis at the Armory Center for the Arts about the history of The Art Dock. 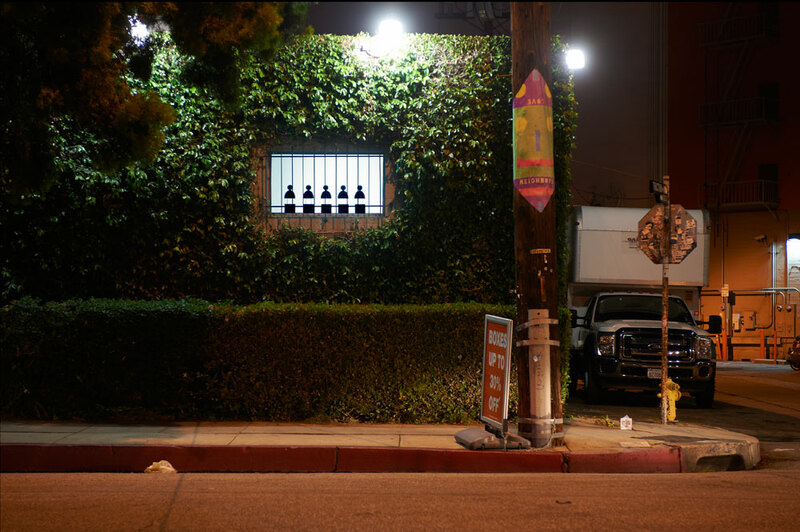 The discussion that followed inspired Ken to use a window in the studio he shares with his wife Kim Abeles, to expose the community of the LA Arts District to new and interesting video.